Happy Thursday beauties. Almost the weekend which seems to come around a lot quicker these days. As Thursday is all about travel, I’m sharing my most recent trip with the three must see places in Rome. Rome is one of those places that everyone needs to visit even if you aren’t into history. I’ve been to Rome before but always wanted to go back to see inside the Colesseum. I got to see the outside the first time around but always wanted to go inside. Stepping inside the colossal venue took my breath away! Touted as one of the most famous fountains in the world, the trevi fountain is definitely one of the three must see places in Rome. Ok what can I say about The Vatican that hasn’t already been written? I guess what I can say, based upon my experience is that regardless of your spiritual beliefs, it is worth the visit. When you see the architecture, the art as well as the religious components you will understand the significance of this place. 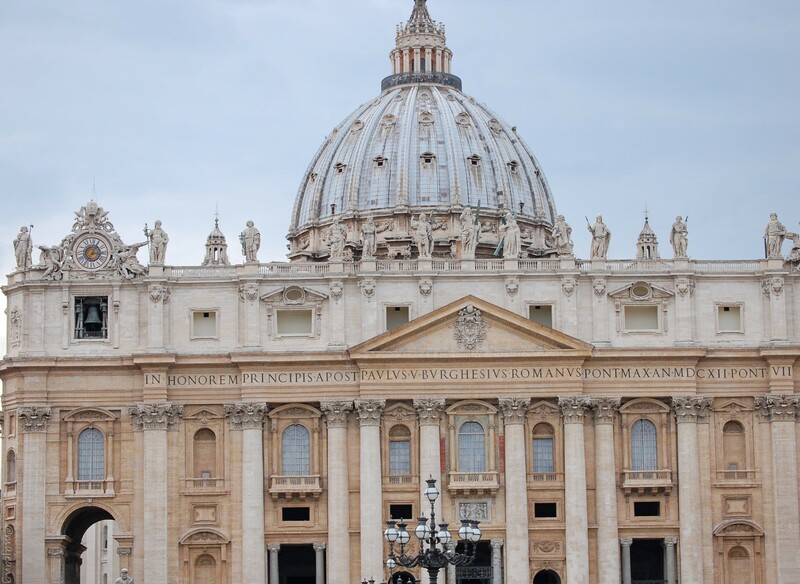 The Vatican also has it’s own laws that are separate from Italy. Like their own police. Side note: if you’re looking for pictures of the Sistine Chapel sorry you won’t see them here. Actually, that painting along with a lot of Da Vinci’s paintings are found in the Vatican Museum. Also, flash photography is not allowed in the chapel and it is a bit dark. These are my three must see places in Rome. I’d love to hear from you, have you been before? If so, what are your must see places? As always thank you for reading and don’t forget to subscribe to keep updated with upcoming blog posts. I do lifestyle related posts on a Monday, travel on Thursday and fashion on Saturdays.